Ask any musician. If he’s being honest with you, will tell you there’s never enough time for practice. 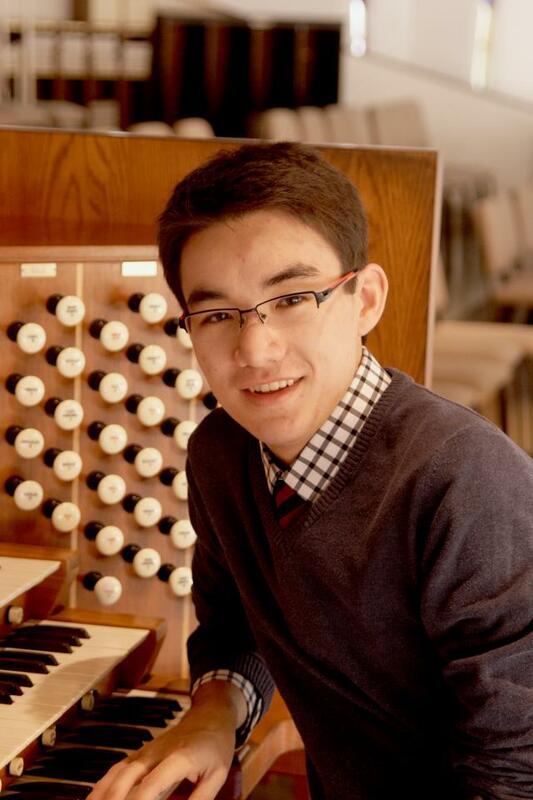 When organist David Lim ’15 was informed that he had won the 12th annual Immanuel Lutheran Church Organ Competition in Evanston, Illinois, he realized that it would mean some additional time at the keyboard during a very busy spring semester. As the winner of the national competition, David will present a full recital at the Evanston church in early May. He was already scheduled to present his junior recital in Christ Chapel on April 11 and tour with the Choir of Christ Chapel during the final week in April. Scheduling the recital in Evanston for May 4 was difficult enough. Finding time to rehearse may be even more difficult. The annual Immanuel Lutheran Church Organ Award was founded to encourage young musicians to seek careers in church music. The funding is provided out of the Immanuel Lutheran Church (Evanston, Ill.) Music Outreach Endowment Fund. The award, consisting of a cash gift, a gold medal, and an opportunity to perform a full concert, is awarded following the competition to a student in an organ or church music degree program in an accredited school who has been nominated by the organ or church music faculty. The purpose of the competition and the award is to encourage careers in church music. Following Chad’s recommendation, David began to prepare for the February audition and interview. He was interested in gaining the experience of competing in a national competition and working with the repertoire required for the audition: one work by Bach, one work not by Bach and one hymn. For the audition, David selected J.S. Bach’s Prelude & Fugue in D-Major, BWV 532, George Shearing’s setting of Jerusalem, My Happy Home, and the congregational hymn: “Comfort, Comfort, Now My People” (FREU DICH SEHR). David Lim of New Prague, Minn., is a junior at Gustavus pursuing bachelor degrees in biology and music performance as a member of the Three Crowns Curriculum. He is the son of Jean and Dr. Meng Lim ’78 of New Prague and a 2011 graduate of New Prague High School. At Gustavus, David began organ studies with Chad Fothergill ’06. He now studies with Chad Winterfeldt. He is a recipient of the Jussi Björling Music Scholarship, a member of the Gustavus Handbell Choir, the Choir of Christ Chapel, and currently serves as a Representative and Secretary of the Gustavus Music Council and Vice President of the Choir of Christ Chapel. Prior to his organ studies at Gustavus, Lim was an organ student of Jon Naatjes, having begun private lessons in 2006. Through participation in Pipe Organ Encounters he has also studied with Christopher Marks and Chelsea Chen. He has also played for masterclasses led by Wilma Jensen and Douglas Cleveland. He is an active member in both the Twin Cities and Sioux Trails Chapters of American Guild of Organists. He presently serves as the Education Chair and Newsletter Editor of the Sioux Trails chapter and is a member of the Education Committee of the Twin Cities Guild. David has served as organ scholar at First Lutheran Church in Saint Peter where he assists Director of Music, Chad Winterfeldt. Immanuel Lutheran Church in Evanston asked Kurt Roderer to design and build a new mechanical action pipe organ for the newly remodeled sanctuary and balcony in 1979. Specifications and tonal designs, for the specific funds available, were furnished to the church with the understanding that the actual construction of the main parts of the organ such as chests, organ case and pipe work, would be manufactured by the August Laukhuff Organ Company in Germany. In 1981 the two-manual tracker organ was installed and voiced by Kurt Roderer in accordance with the specifications approved by the church. The Zimbelstern was added in 2013. Now that the date for his recital at Immanuel Lutheran Church has been set, David Lim has begun to pick the literature for his recital at the church. And to practice. With a semester that includes a short choir tour, a junior recital, the performance he earned as Immanuel Lutheran’s 12th Organ Scholar of the Year, and working on majors in biology and music performance at Gustavus, David knows that rehearsal and practice time will be at a premium. And, like any musician, he knows there’s never enough time for practice. All he does is win.